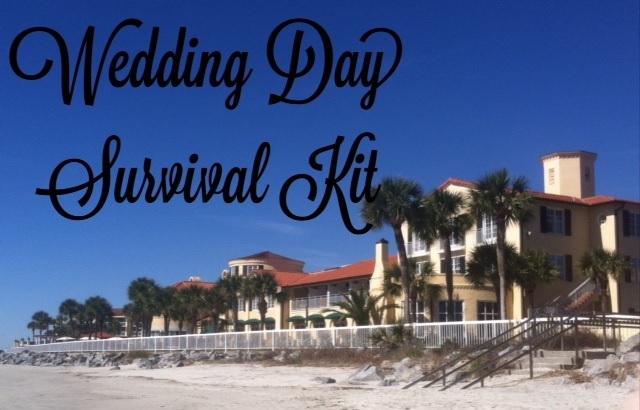 Friends don’t let friends get married without it – the wedding day survival kit. It has everything the bride may need for her special day in case any last minute emergencies arise. 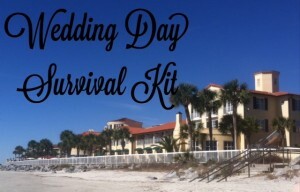 Here is our list for what to pack in the bride’s wedding day survival kit. Remember to have fun and add some unexpected, fun extras too! For more ideas for your wedding, visit our website! This entry was posted on Thursday, October 16th, 2014 at 6:46 pm	and is filed under Weddings. You can follow any responses to this entry through the RSS 2.0 feed. Responses are currently closed, but you can trackback from your own site.